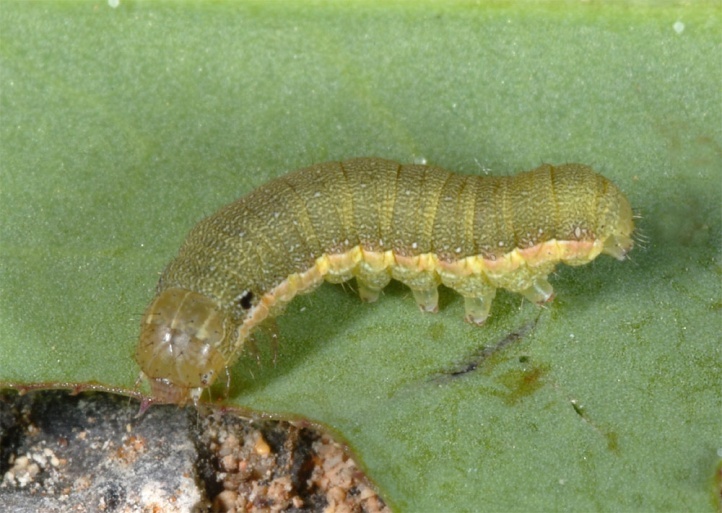 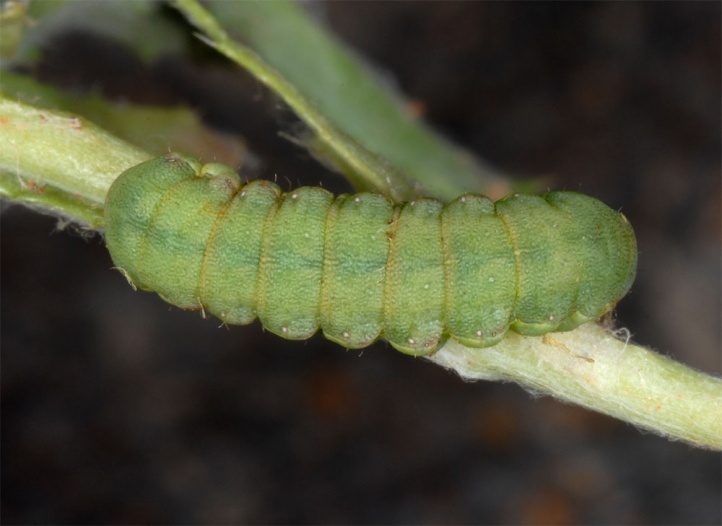 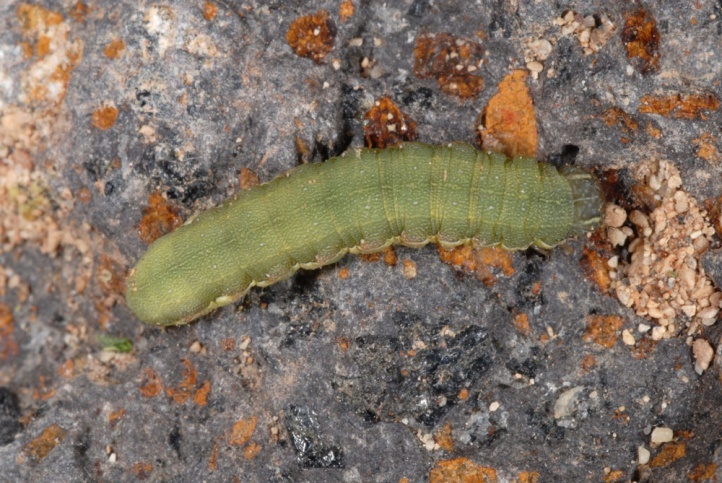 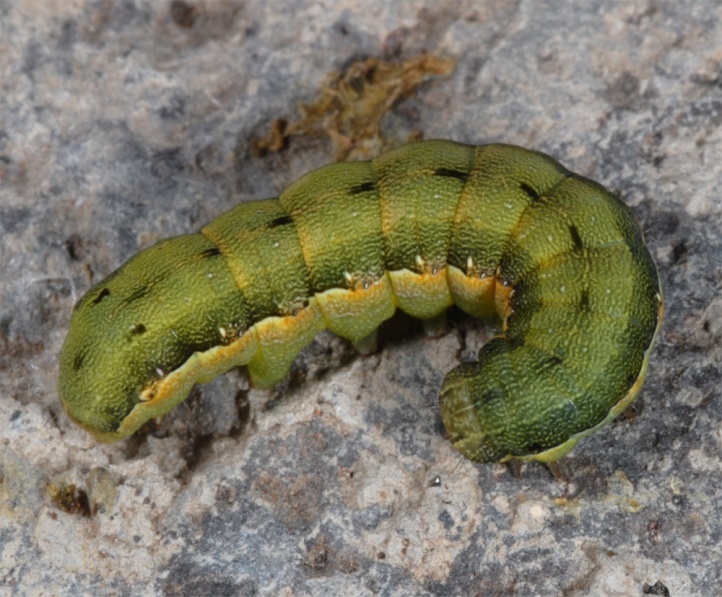 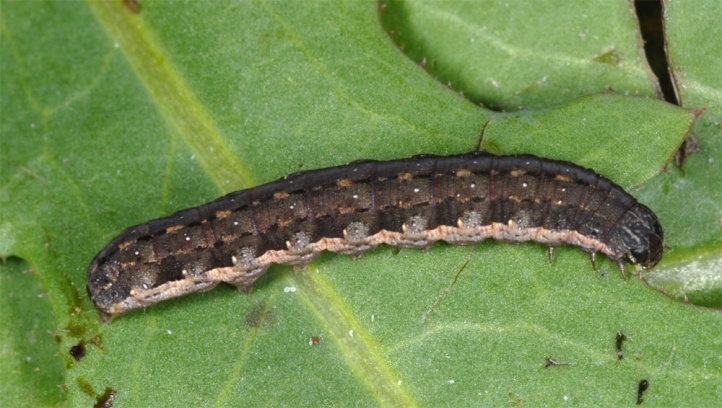 The species is extremely polyphagous as a caterpillar. 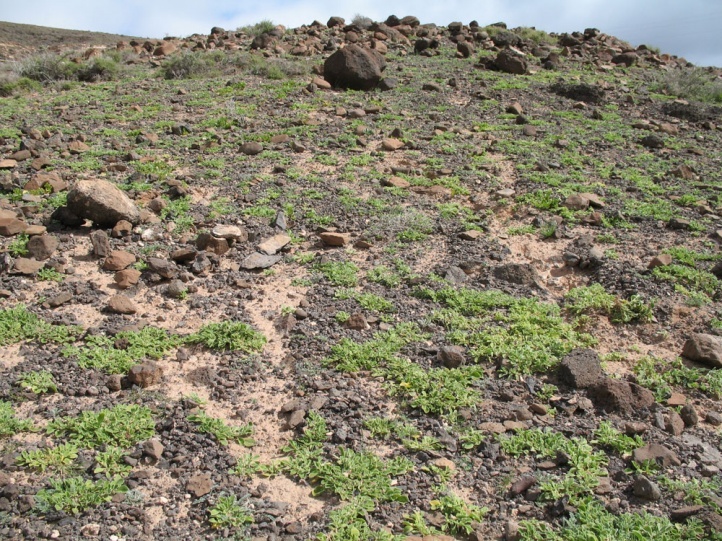 The animals live mostly on the ground. 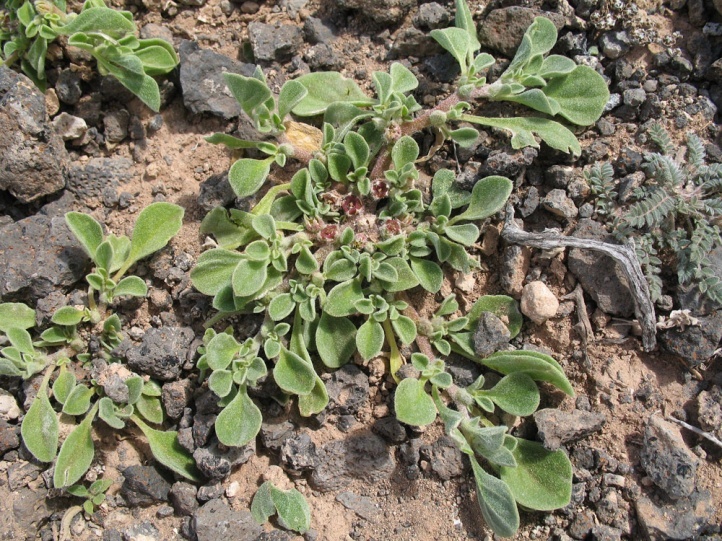 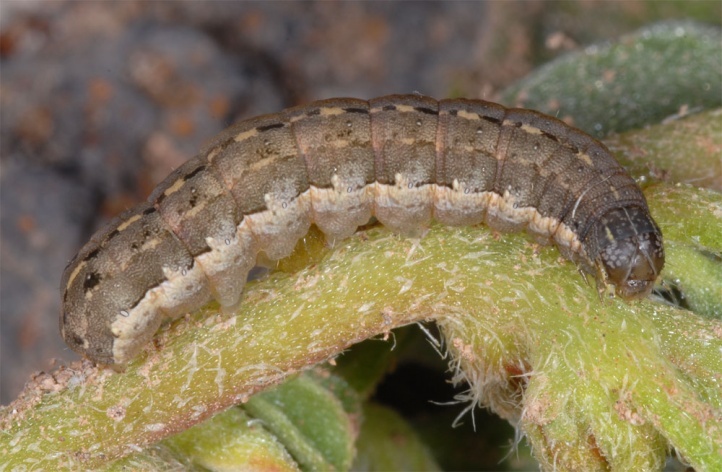 In Fuerteventura, they ate, among others, Anagallis arvensis, Calendula sp., Echium sp. 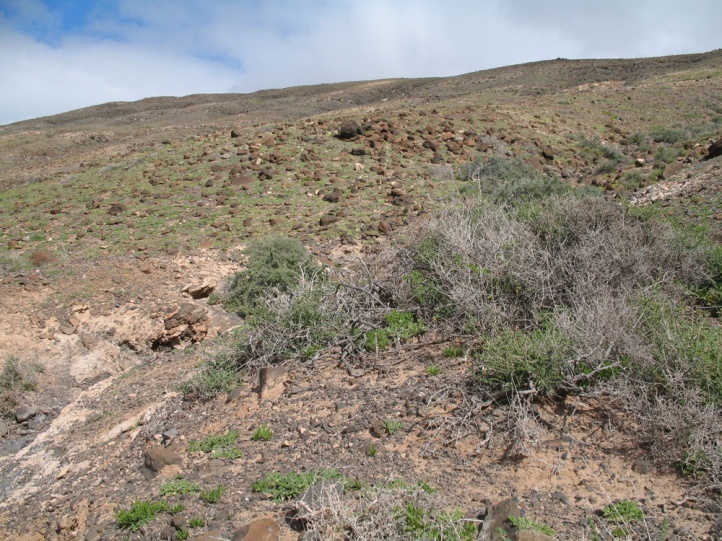 and especially Aizoon canariense. 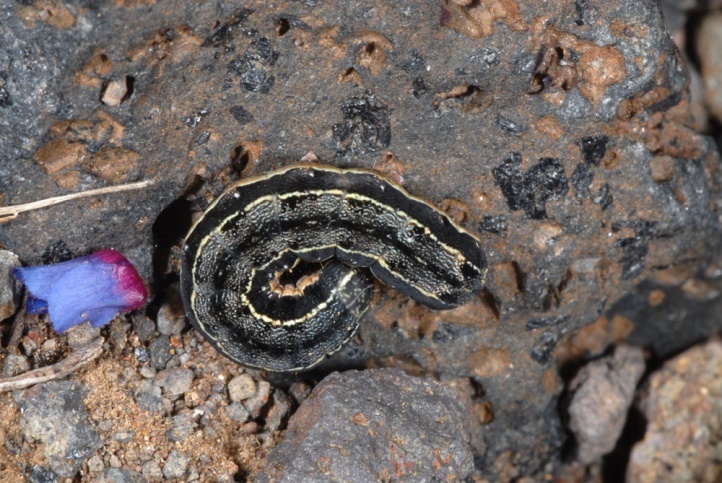 Spodoptera exigua inhabits most commonly dry warm, semi-arid areas such as semi-deserts, rocky slopes, dune terrain. 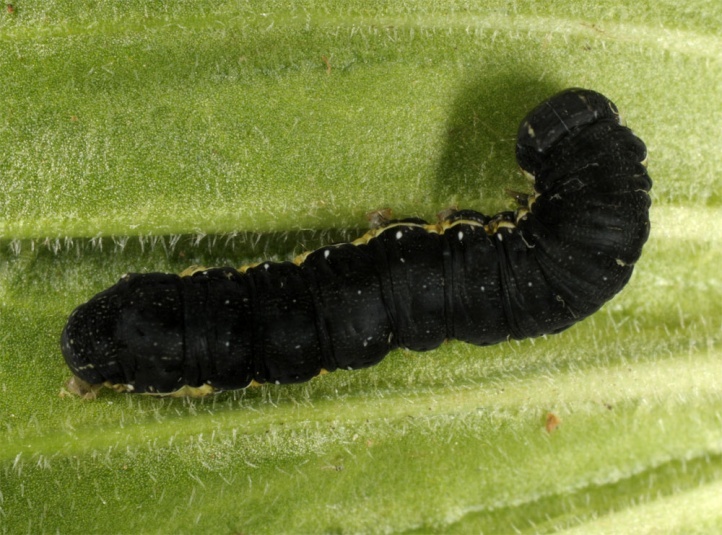 But it penetrates also in agricultural crops, settlements and other habitats. 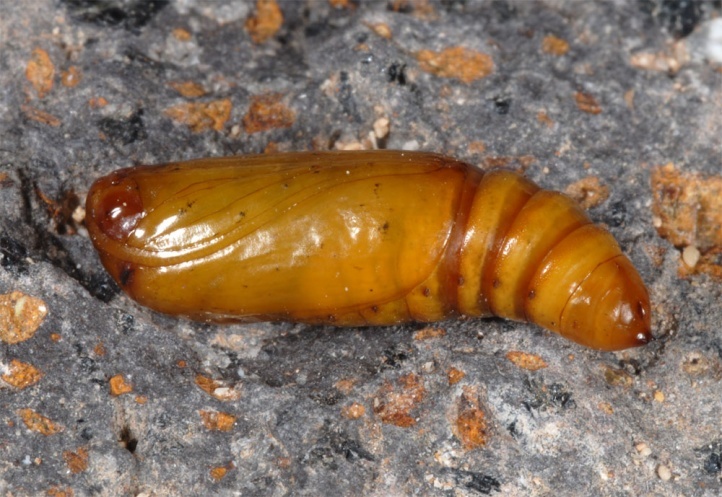 In the south, the development is continuous. 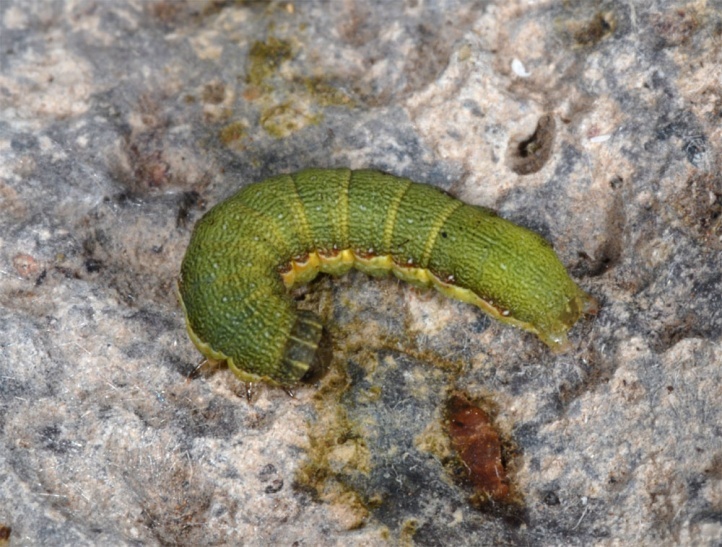 I watched the young caterpillars in Fuerteventura often on stones in the spring sun (late February 2011). 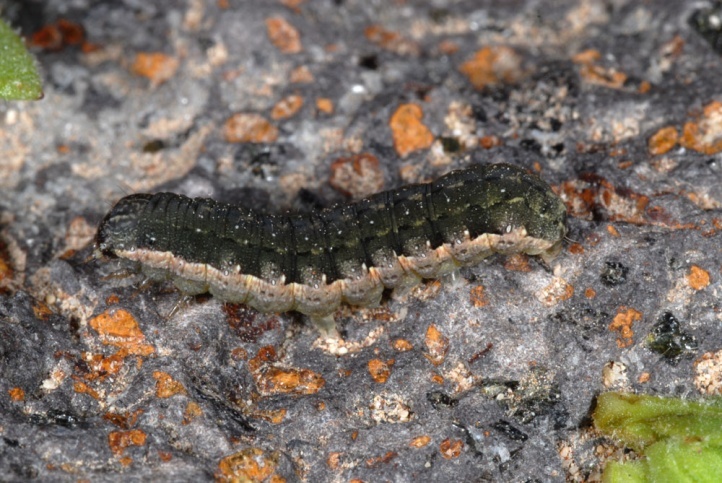 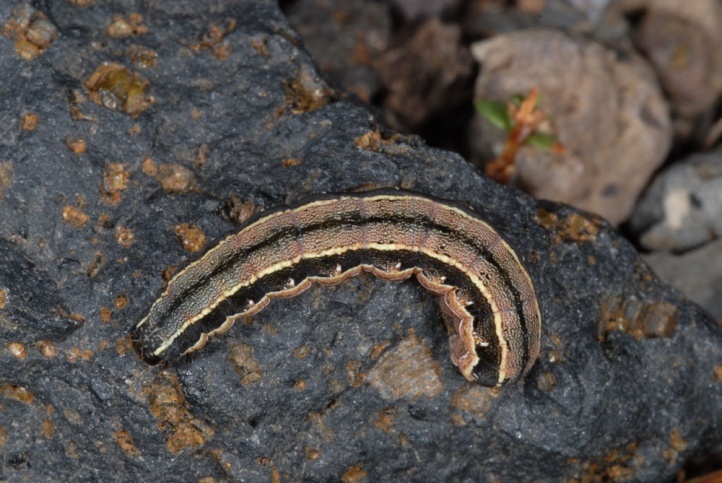 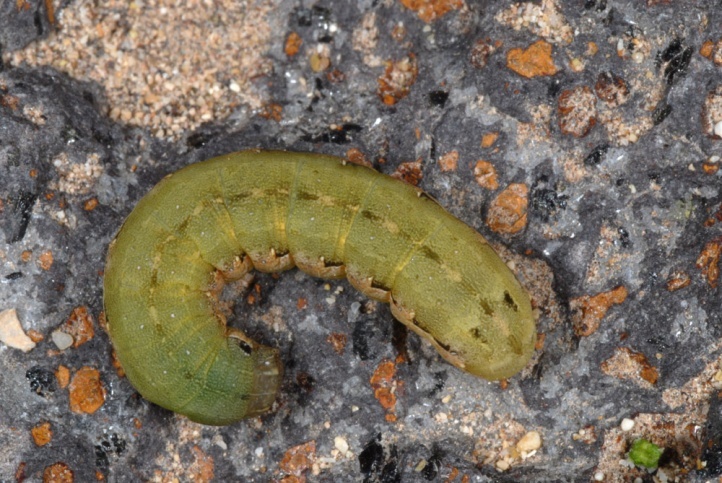 Especially the older caterpillars hide themselves during the day under stones or plants. 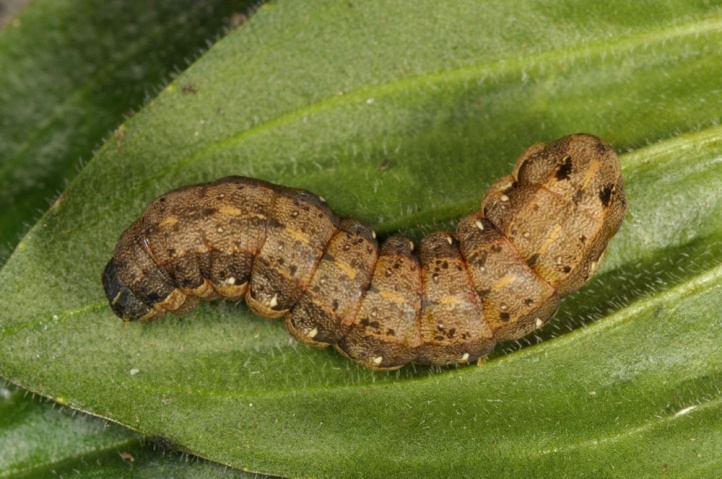 The caterpillars are extremely variable. 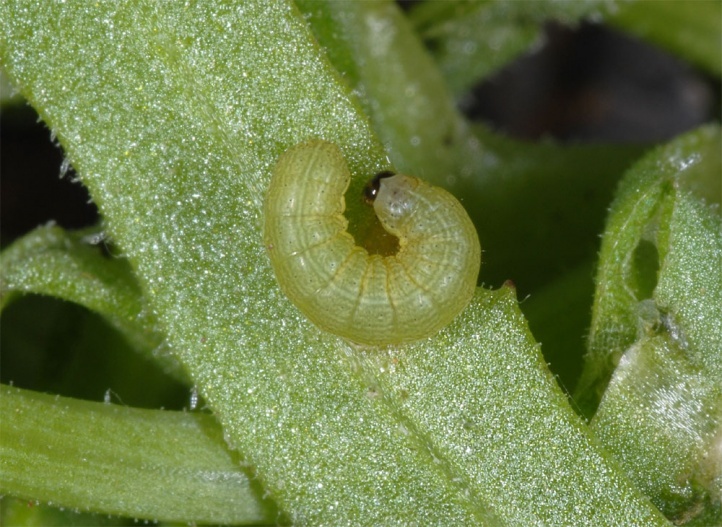 In juicier stocks of about Calendula they were mostly coloured green. 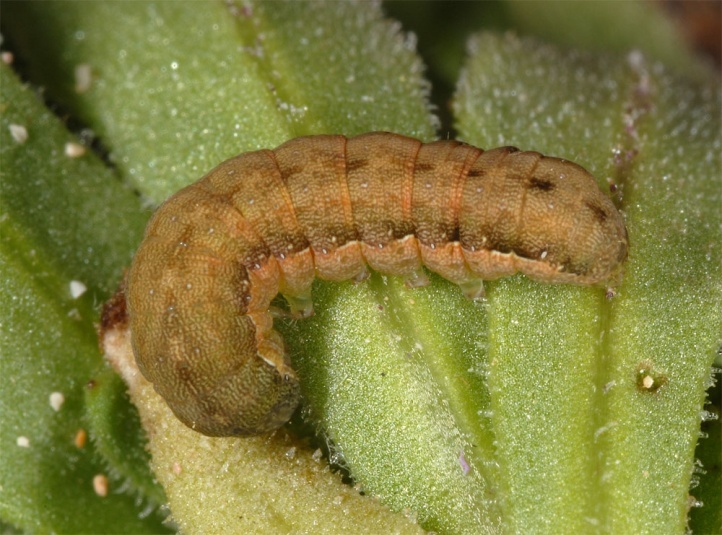 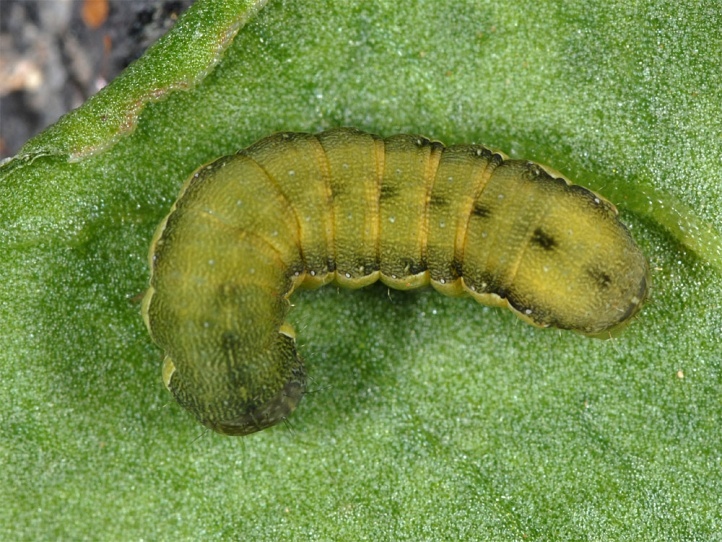 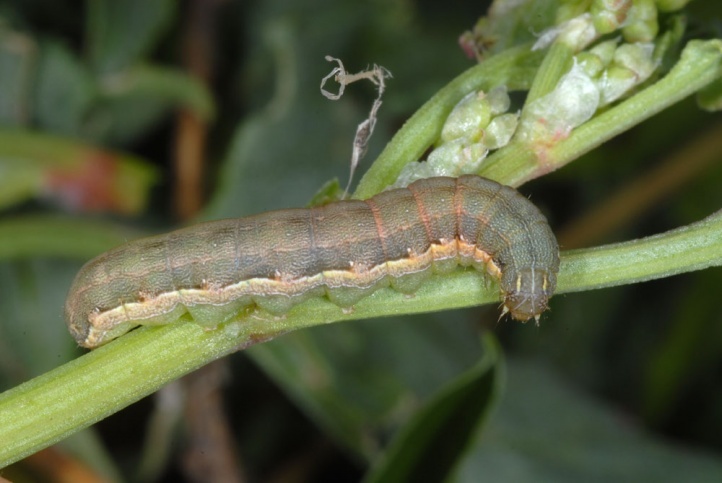 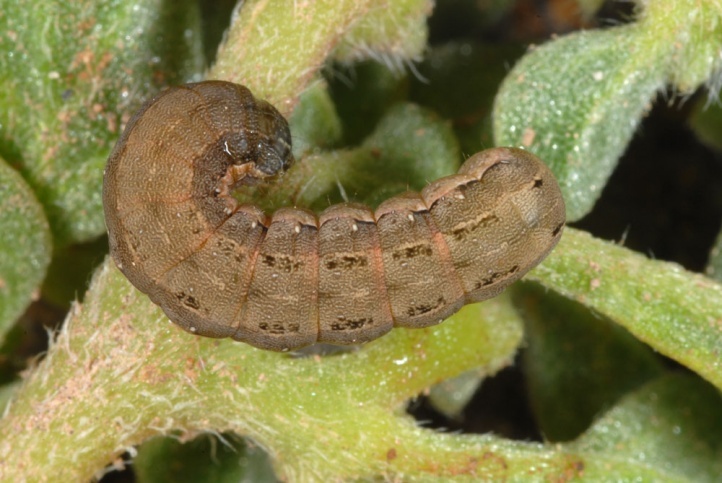 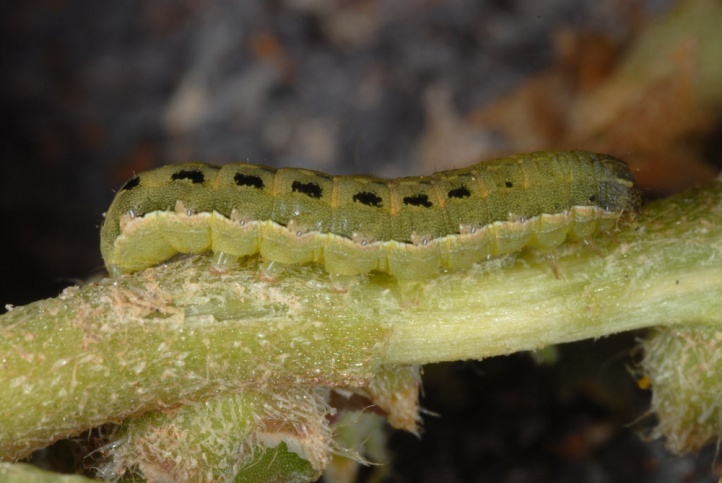 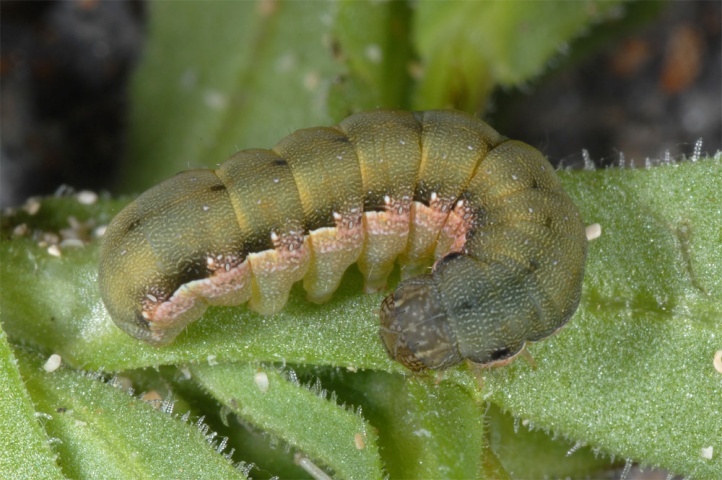 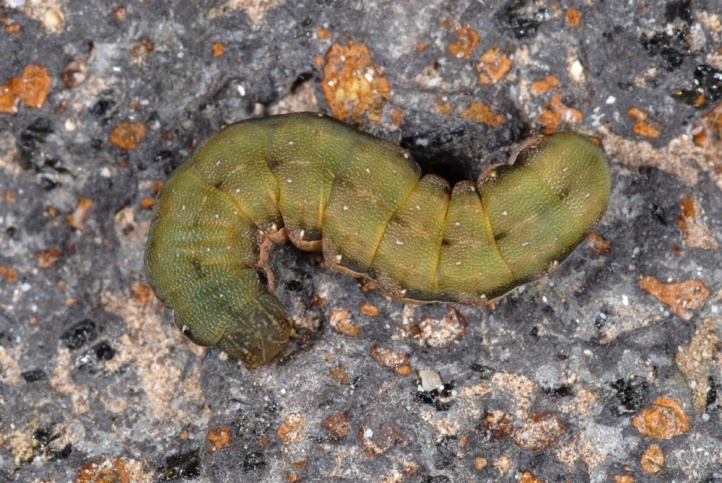 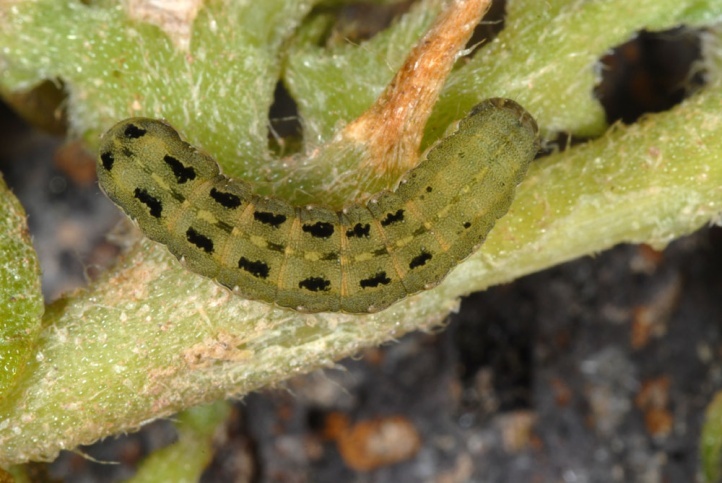 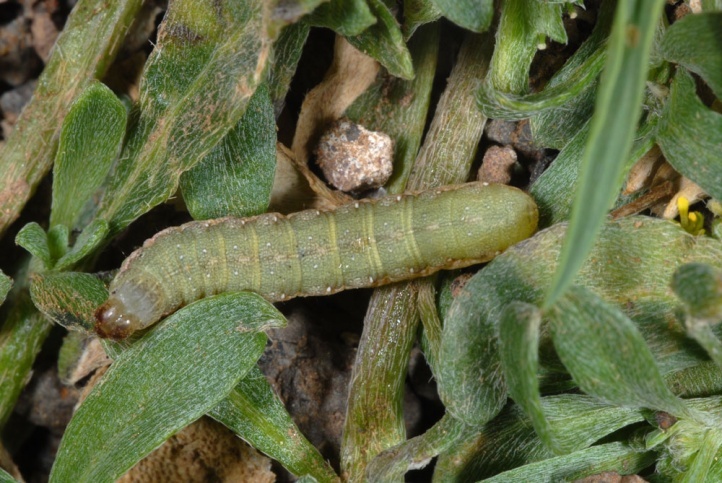 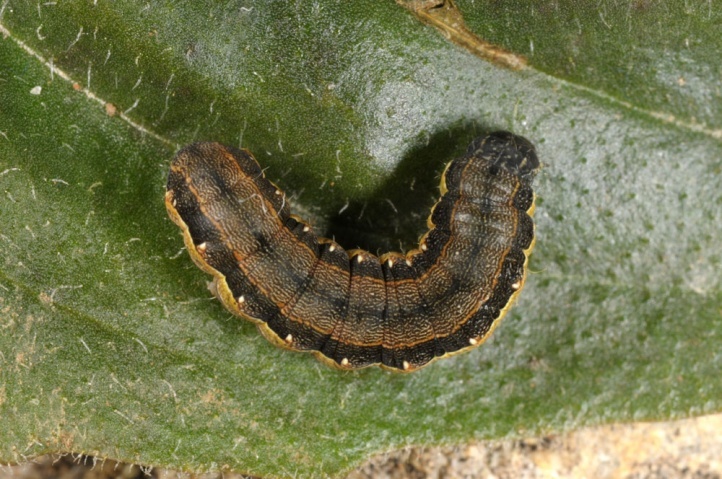 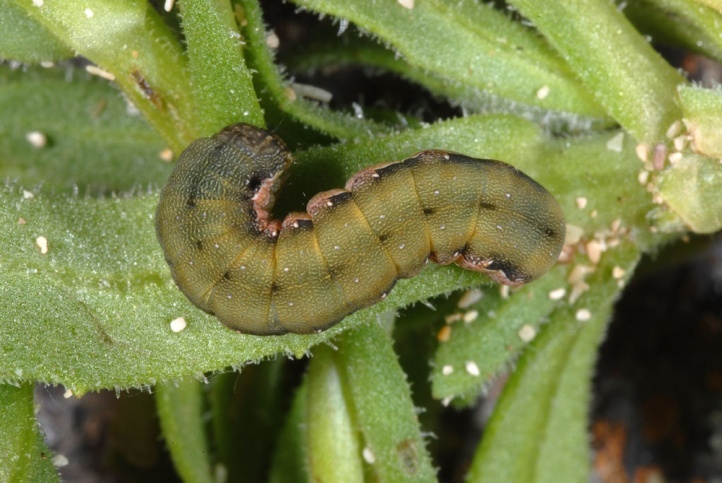 In sparsely vegetated sites already the younger caterpillars were often brown or blackish-brown. 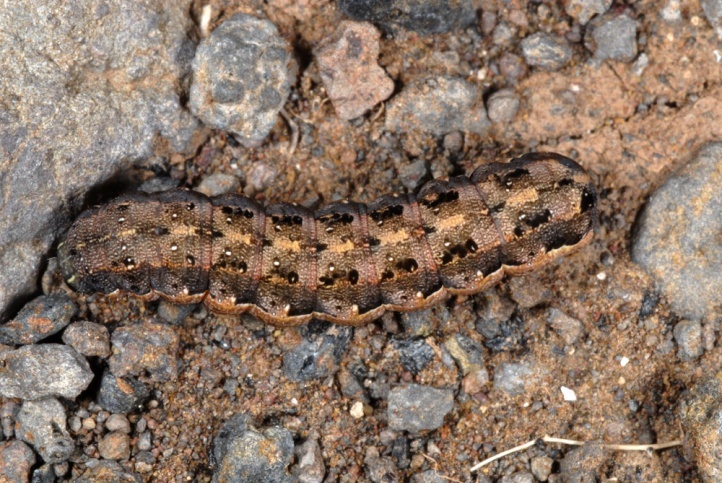 According to literature, the caterpillar density has an effect: at high density are the caterpillars dark. 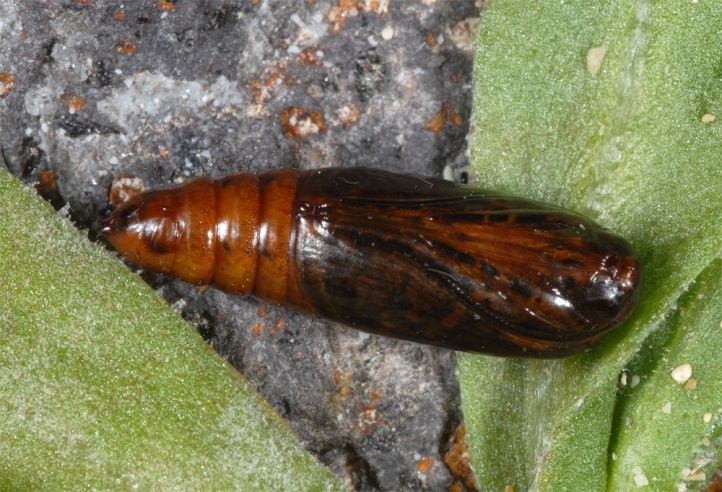 I found the pupa under flat rocks and plants in loose cushions. 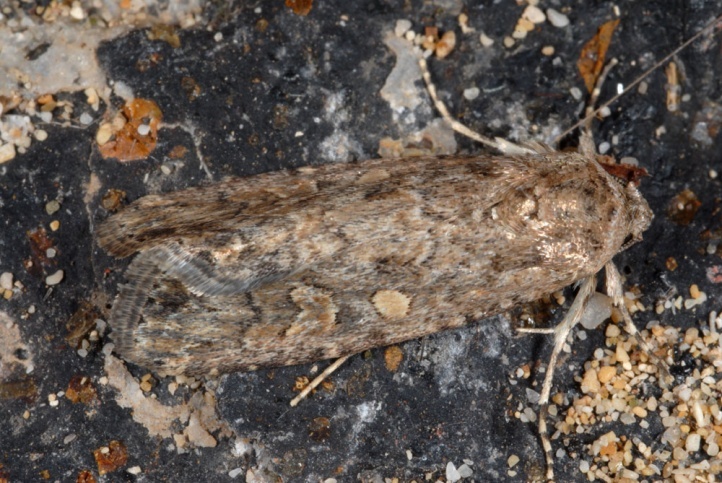 The moths also like to hole up under stones during the day. 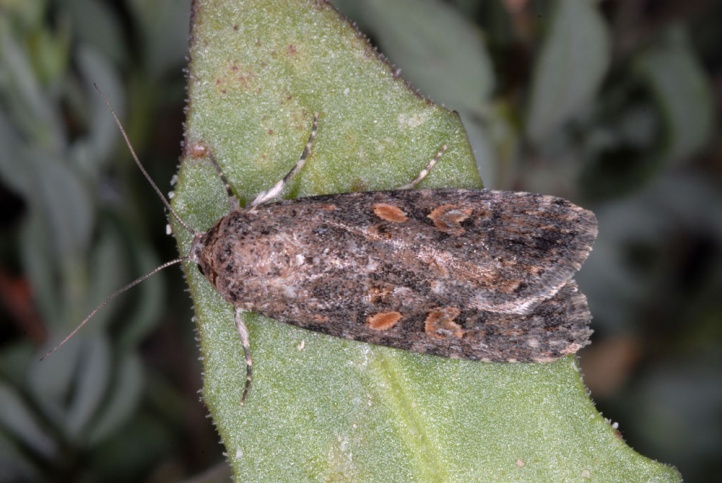 At the lighting of my hotel in Fuerteventura (February 2011) they were the most common Lepidoptera next to Hyles livornica, Polytela cliens, Trichoplusia ni, Heliothis peltigera and H. armigera. 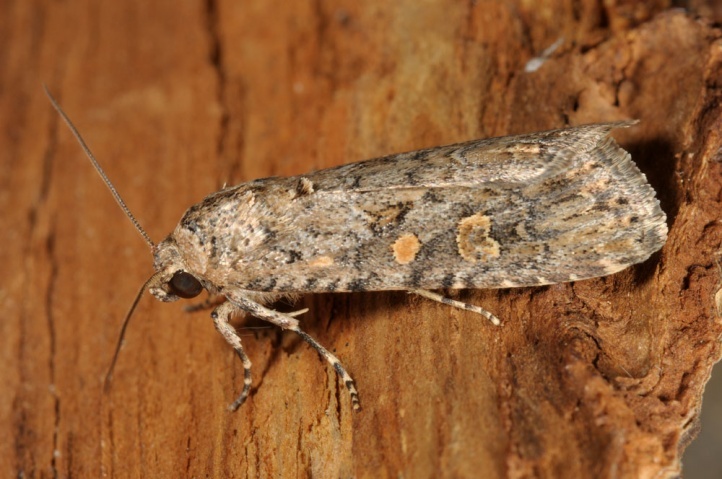 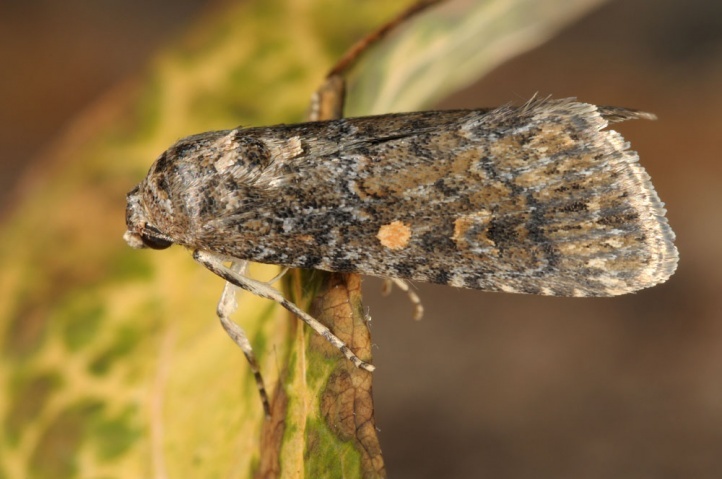 Spodoptera exigua is native to the tropics and subtropics of almost the entire world. 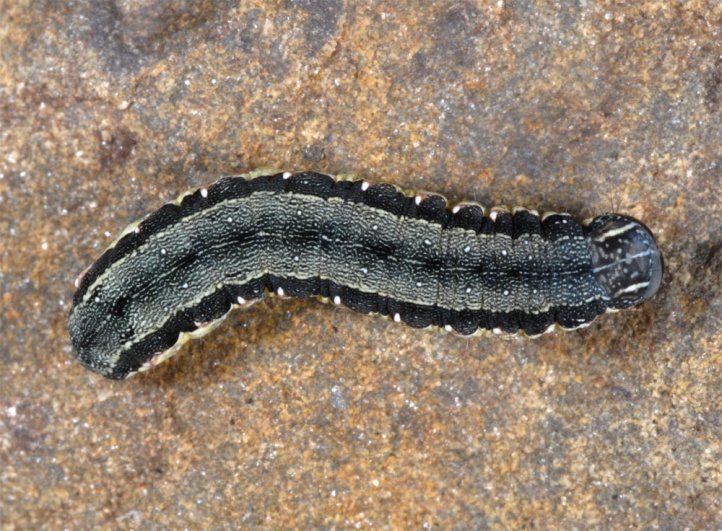 In Europe it reproduces in the Mediterranean. 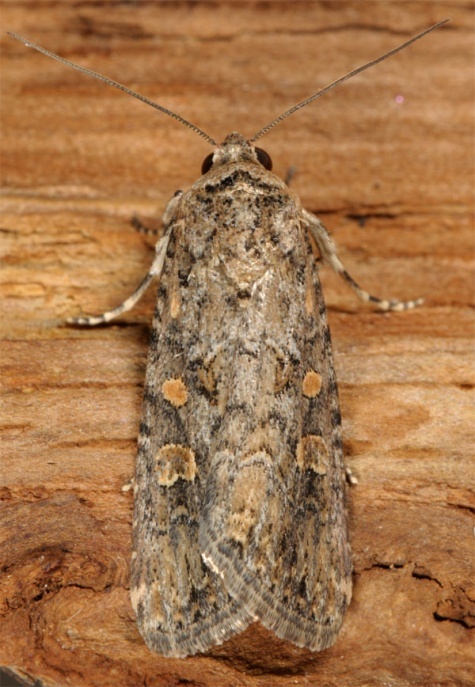 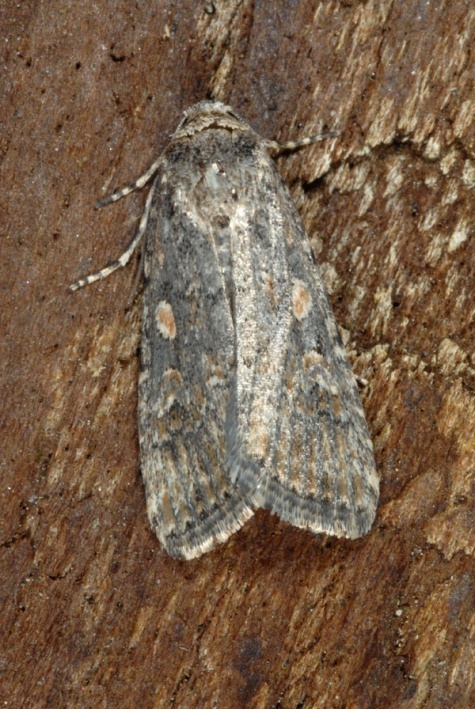 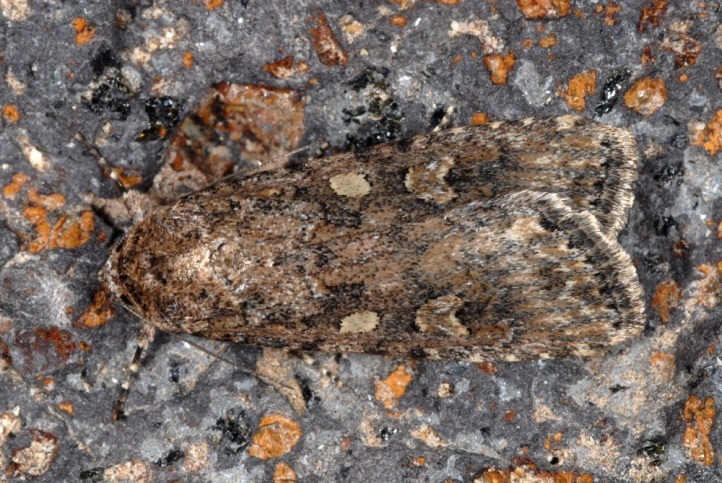 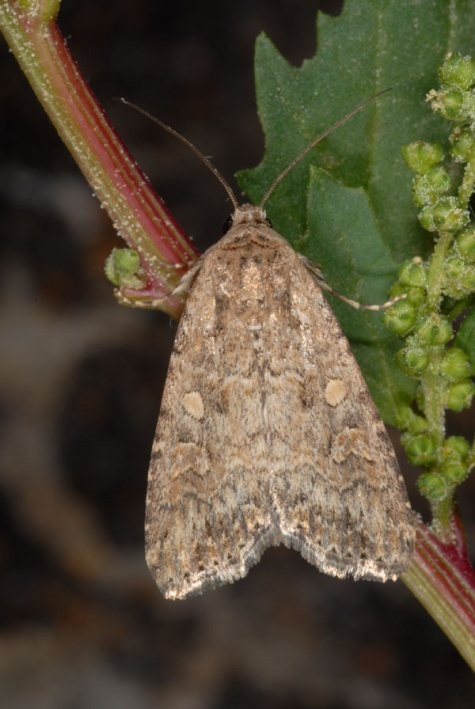 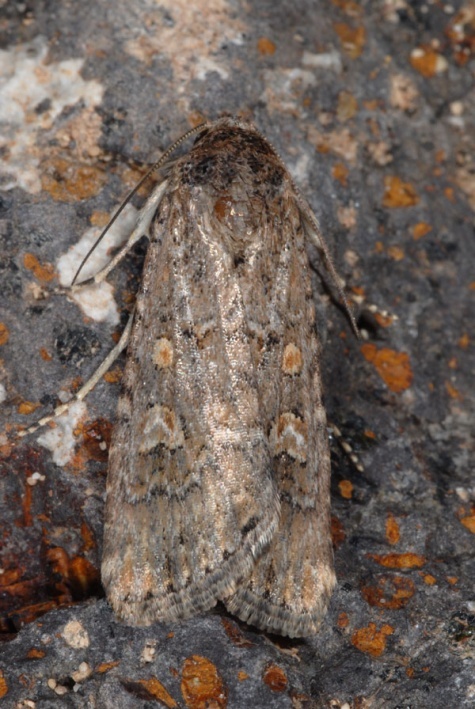 Moreover, Spodoptera exigua penetrates as an uncommon migrant far north and was found for example in Germany many times. 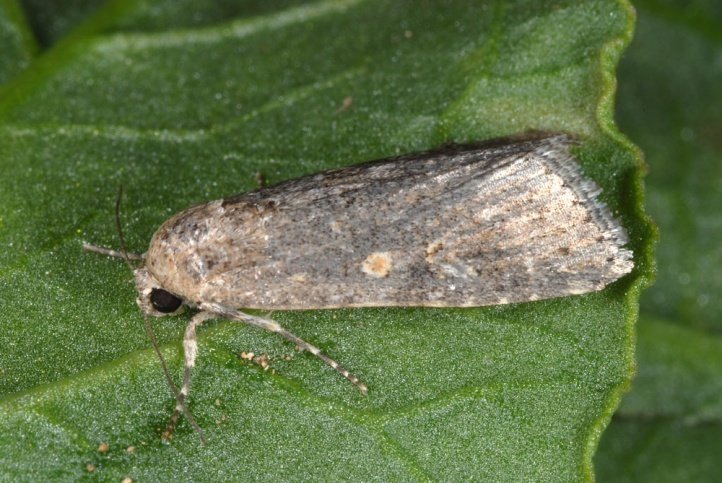 But some records are also based on passive transport (as with agricultural products).